Come join them for the annual ‘Christmas in the Coulee’ event on December 8th and 9th. They’ll be stringing thousands of lights inside the Atlas Coal Mine tipple! Santa Claus will be there, along with traditional baked goods, live music, kids games/crafts, the Polar Express train, eggnog tasting and lots of stories. Make sure to play their scavenger hunt between the Atlas and the East Coulee School Museum to win great prizes. For event updates, follow us @atlascoalmine on Facebook, Instagram and Twitter. The annual kick-off to the holiday season in Drumheller! Join us on November 17th for free family-friendly events and activities in Downtown Drumheller. Planned activities include wagon rides, street hockey, cookie decorating, photos with Santa and Mrs. Claus, live entertainment, s’mores, carolling groups, and so much more! 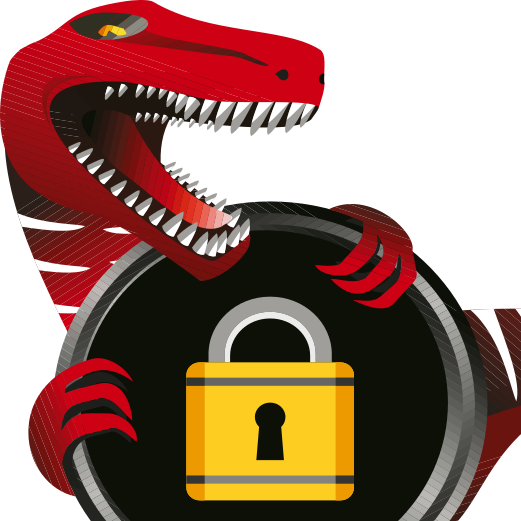 Drumheller’s first escape room experience featuring local flair. We escaped… Can you? Wednesday to Friday : 4 p.m. to 9 p.m.
Get to know over 20 dinosaurs discovered in the Drumheller area as you walk around town. 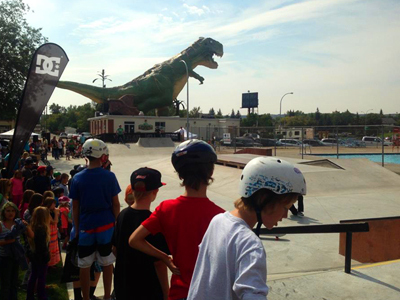 Each stop on the DinoWalk features a chance to visit a new area of the town, learn about our prehistoric heritage and of course have an amazing photo-op with a dinosaur! Willow Creek Adventures got started in the spring of 2017. 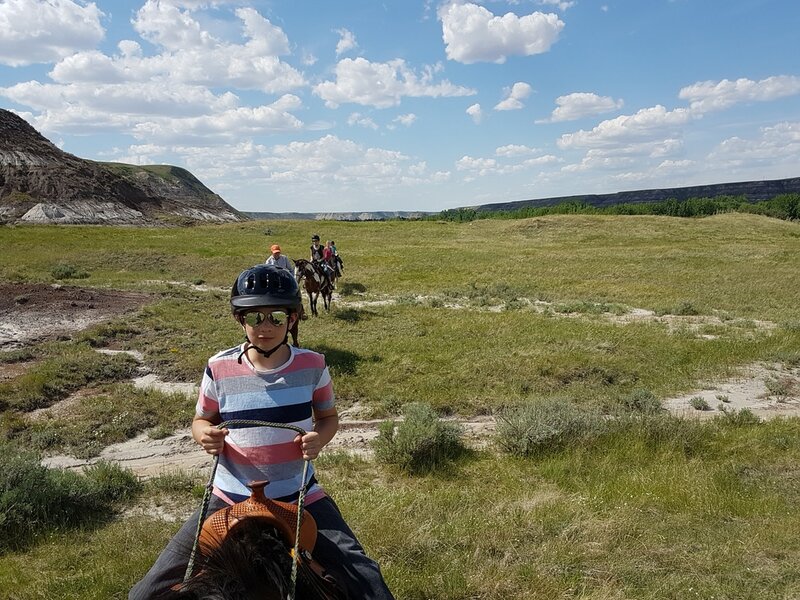 Their focus is to provide an amazing adventure experience on horseback in the Badlands of Drumheller. In addition to trail rides, they have a boarding facility with indoor and outdoor riding arenas and an attached stable. The stable and indoor arena are both heated for winter riding and training. Willow Creek Adventures also offers lessons and horse training. 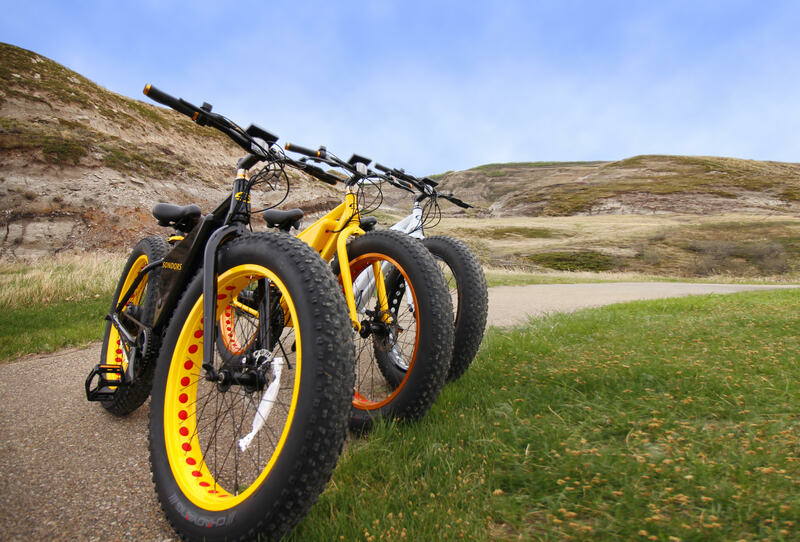 If you would like to feel the wind in your face, not break out in a sweat, suffer from sore aching muscles or even be out of breath, you need to rent an e-bike! What’s an e-bike? It’s an electric bike that has five levels of peddling assist or if you don’t want to peddle, simply use the throttle. It’s just like riding a bike. In fact, it is a bike. 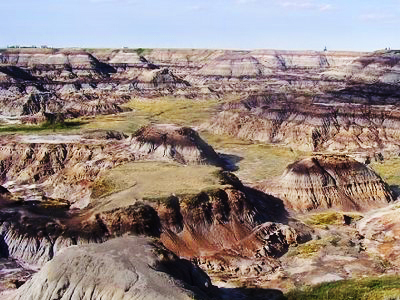 Orkney Lookout is a very simple, somewhat private natural lookout point situated on the high red rock cliffs – above the Red Deer River – located west of the community of Drumheller, Alberta, Canada. 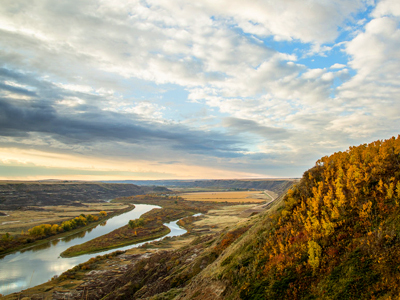 The viewpoint lookout provides sweeping views of the Red Deer Valley. You can watch, as the river snakes its way through the valley for many kilometres. 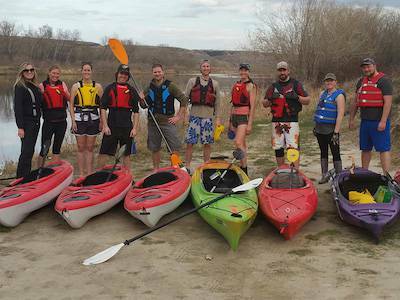 Red Deer River Adventures offers kayak and canoe rentals, shuttles to launch and pick up points, and guided tours. Experience the stunning scenery, diverse wildlife and unique geology of the area from the water. This offers a different perspective from what visitors to the area normally enjoy. Red Deer River Adventures is located at the Newcastle Beach rec area. 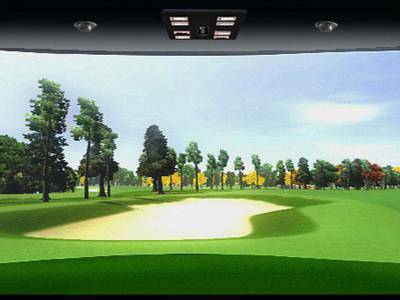 The Lowleft Golf Experience is a 7-day a week, indoor golf training facility, with licensed food and beverage service created in a relaxed and friendly Club House atmosphere. Bring your clubs and best game for an amazing golf experience all year long. 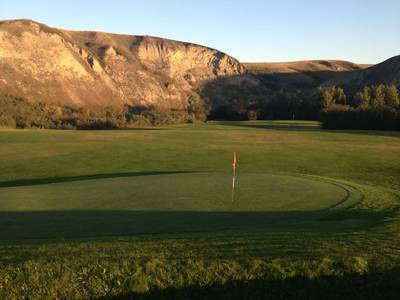 Located in the beautiful river valley village of Rosebud, AB, only 36 km southwest of Drumheller, Akokiniskway features a 9-hole executive golf course, full rental services, and camping facilities. 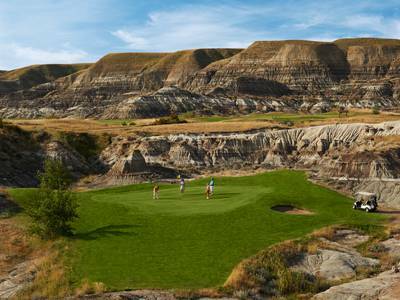 Surrounded by Badlands coulees and cliffs, Dinosaur Trail Golf & Country Club is open to both golfers and visitors from April to October. The back-nine is considered the most challenging in North America. 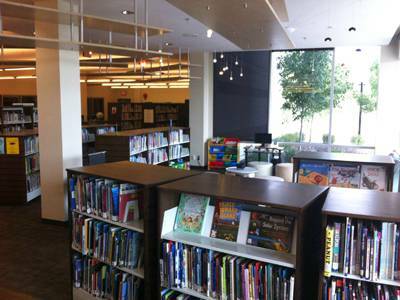 Featuring public-use computers, Internet, laptop access, photocopying and faxing, the Drumheller Public Library is located in the Badlands Community Facility. 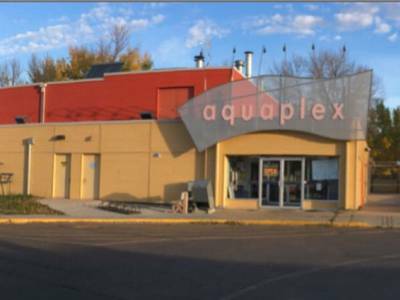 The Drumheller Aquaplex features an indoor swimming pool, waterslide, steam room, hot tub, as well as an outdoor heated swimming pool. 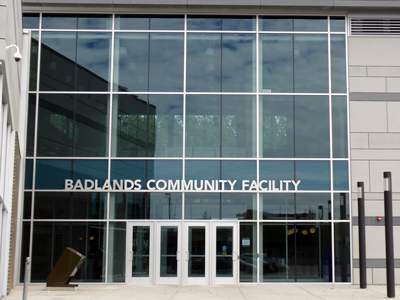 Housing a two level fitness centre, field house with 3 courts, 150 m running track, municipal library, art gallery, indoor playground, meeting space, and a large banquet hall, there is plenty to at the Badlands Community Facility. 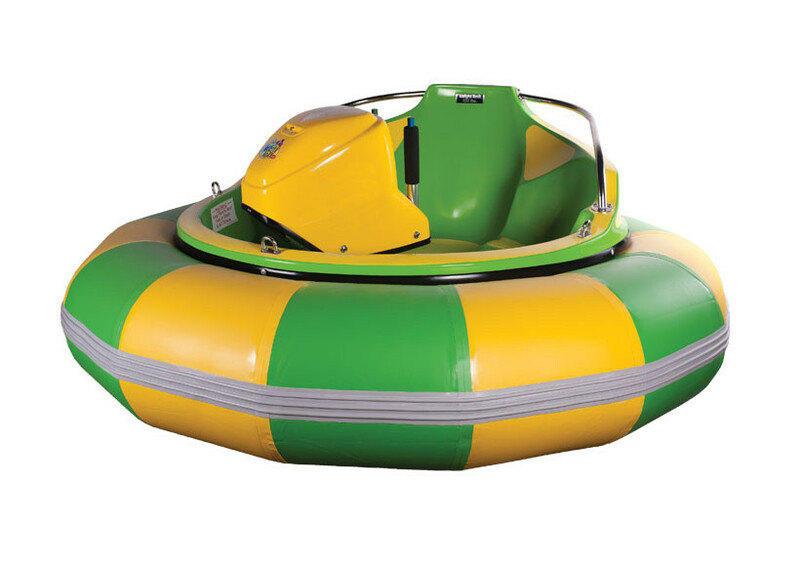 At Bumper Boat Amusements you can ride the bumper boats, play 18 holes of miniature golf, and then stop in at the souvenir shop and concession. Open April through October. 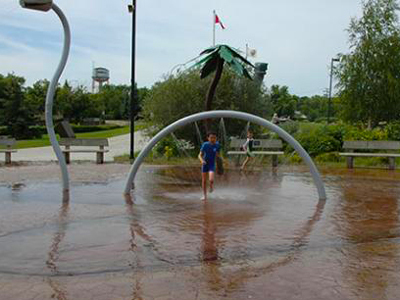 Across from the World’s Largest Dinosaur, the Rotary Spray Park is free for visitors and features several fountains and water cannons that make for great hot weather fun. Outdoor washrooms/change areas are available, as well as picnic tables, benches and plenty of green space for lawn chairs or lawn blankets. 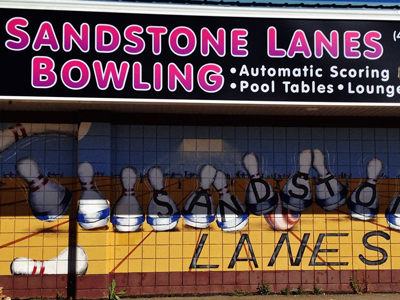 Eight lanes of 5 pin bowling with computerized scoring, glow bowling, birthday party room, regulation sized pool tables, and a licensed family friendly lounge. Fast, Fantastic Fun for the whole family! Experience the thrill of driving a Super tomcat kart on 1/3 mile track. We also have Euro bungee and 2 mini golf courses. 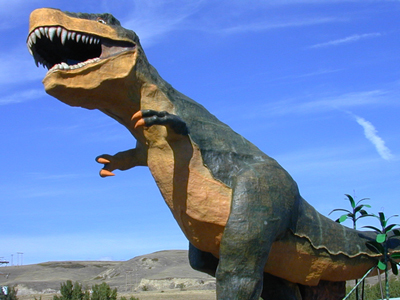 Located 4 km west of Royal Tyrrell Museum on North Dinosaur Trail. 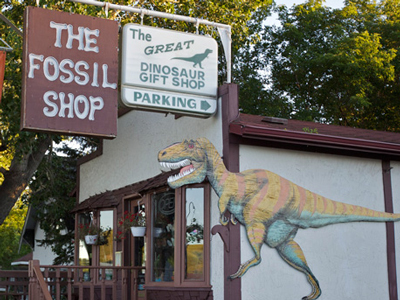 Specializing in museum-quality fossils, minerals, and gift items, The Fossil Shop is located across the bridge from the World’s Largest Dinosaur. Stand 86 feet high in the mouth of the World’s Largest Dinosaur and see the view from behind her pearly whites (don’t forget your camera). 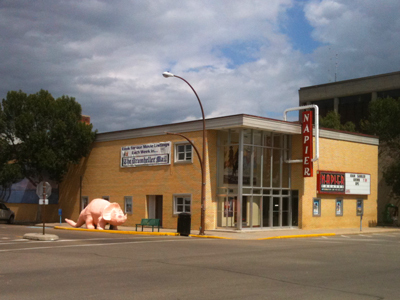 Napier Theatre is Drumheller’s locally owned and independent movie theatre, showing new release movies to our patrons. Come and experience something new with us. Kaleidoscope is Drumheller’s local theatre company, performing shows ranging from independent local productions to classics like A Christmas Carol. 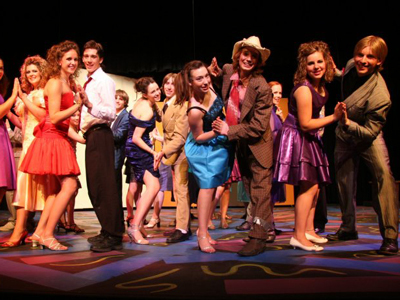 The musical and theatrical productions at Rosebud Theatre are widely-acclaimed, attracting thousands of people annually to this community of less than 100 people. The theatre stages five plays a year – four at the Opera House and one at the BMO Studio Stage, offering matinee and evening shows up to seven times a week (typically Wed to Saturday). Patrons of the Rosebud Theatre come from all over Alberta, and during the summer many tourists from across Canada and around the world will find themselves in Rosebud. Most performances at Rosebud include a buffet meal before the show and have casts composed of resident actors, student apprentices, and visiting artists.